How do cars and driving become emblems of independence and control in Emily, Alone? How do holidays contribute to the structure and pacing of O’Nan’s novel? In the sense that she is the main character of the novel, Emily Maxwell is the heroine of Emily, Alone. In what other senses can she be described as heroic? Do you find her deficient as a hero in any sense? Emily’s dog Rufus is almost as significant as any of the human characters in the novel. What role does he play, and how would the artistry of the novel be different without him? Emily’s favorite classical music station supplies a kind of soundtrack to O’Nan’s novel. What function is served by the continual references to the music that Emily hears? What do her judgments regarding music say about her character and the cultural world in which she lives? In what ways does Emily’s strained relationship with her daughter Margaret appear to repeat Emily’s relationship with her own mother? How successful is Emily in her effort not to repeat her mother’s mistakes? How does Emily’s daughter Margaret’s history of alcohol abuse affect both their relationship and the way Emily now thinks about drinking? What role is played by religion in Emily, Alone? How did you respond to the information O’Nan gives the reader regarding Emily’s political opinions? Why does Emily feel so politically disaffected? Compare the visits of Emily’s two children and their families: Margaret at Christmas and Kenneth at Easter. Which is more satisfying for Emily, and why? What lies at the root of the discomforts that attend each gathering? Small mysteries occasionally appear at the periphery of Emily’s world: a neighbor standing outside naked in the middle of the night; a spray-painted number on her sidewalk. What do these seemingly small but peculiar occurrences add to the atmosphere of the novel? Imagine Emily as your mother-in-law. Would you find her efforts to relate to you and your children endearing or infuriating? How would you respond to her simultaneous desires to be loved and to exert influence? What do you think of Emily’s response to the professed lesbianism of her granddaughter Ella? Placed in Emily’s position, would you handle the situation differently? If so, how? Discuss Emily’s thoughts and feelings regarding death. What adjectives best describe her attitude? 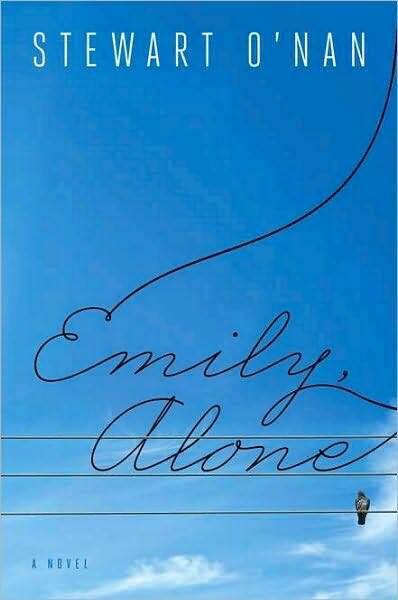 What does Emily, Alone as a whole have to teach us about the last years of life? This entry was posted in News and tagged emily alone, paperback. Bookmark the permalink.